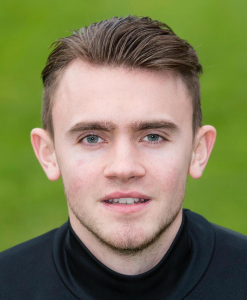 Clydebank-based central midfielder Jamie had been without a club since leaving Brechin City in August when he signed up for Lok in November 2018 after an appearance as a trialist vs. Petershill. Having played for a number of sides in the West at Pro Youth level, Jamie joined Aberdeen when he was 15, went full-time at 17 and remained there until 20, skippering the U20s and enjoying a loan spell at Arbroath during his time at Pittodrie. After moving on, he spent 2017-18 back at Gayfield during the first half of the season and finished it with Annan Athletic. In total, he accrued 23 league appearances for his last three clubs at Senior level. He has also appeared at right back in the past so adds a bit of additional versatility to the lok squad. In January 2019 it was announced that he had signed up again through to the end of the 2019-20 season.